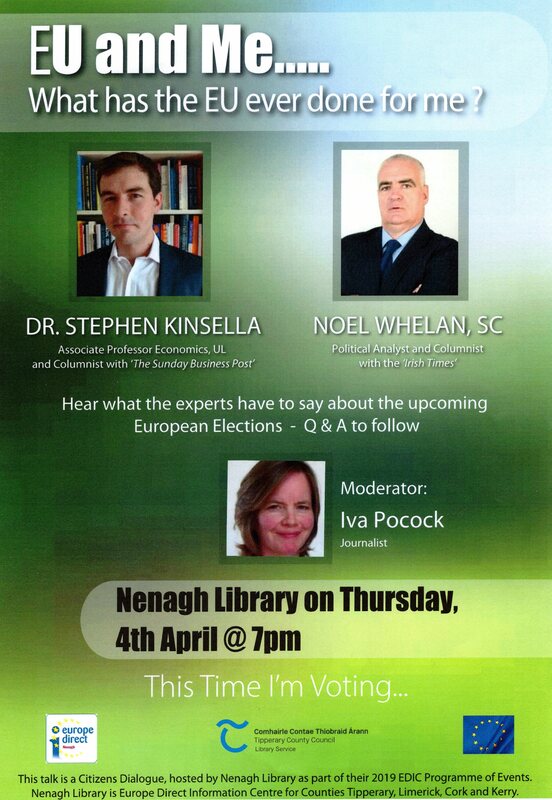 On Thursday, 4th April, at 7pm, Nenagh library is delighted to present a talk on ‘EU and Me…What has the EU ever done for me?’Speakers on the night, Noel Whelan SC, political analyst and columnist with the ‘Irish Times’ and Stephen Kinsella, Associate Professor of Economics, UL and columnist for the Sunday Business Post will discuss the importance of the European Union, the benefits of our membership and the significance of the upcoming European Elections in May. 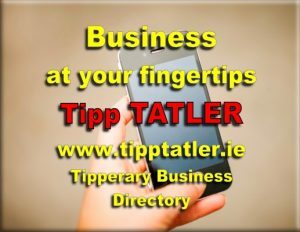 Jonathan Claridge from the EC Representation in Ireland will also be in attendance. Iva Pocock, journalist, will moderate the Question and Answer session which follows. 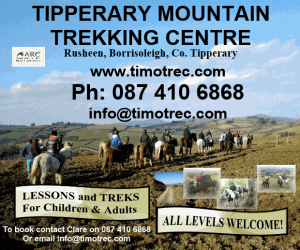 A This event is a Citizens Dialogue presented by Nenagh Library which is the Europe Direct Information Centre (EDIC) for counties Tipperary, Limerick, Cork and Kerry.